What started as two-way radios or mobile rigs in taxicabs, police cruisers and ambulances in the US, has today become an intrinsic part of out lives. Recognizable mobile phones with direct dialing have existed at least since the 1950s. Since then mobile phones have traversed miles to cross the 3G (3rd generation) milestone. Mobiles, today, are just not essential but have become an important status symbol. Feeling the public pulse, and correctly sensing that there is a niche market for obscenely priced mobiles, manufacturers are developing handsets that cost many thousand dollars. Now I produce following beautiful and most expensive Mobile Phones of the world. This luxury gadgets is coming from the designer Stuart Hughes. 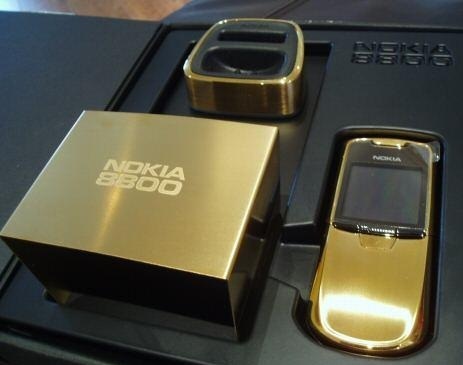 It’s the world’s most expensive cell phone unveiled in 2009. 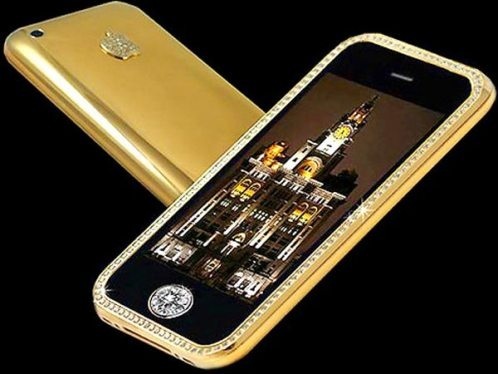 Goldstriker iPhone is encrusted with 271 grams of 22 carat pure solid gold. More than 200 diamonds added on the cell phone. Apple logo on the back features 53 gems and home button is covered with a single 7.1 carat diamond. The iPhone 3GS Supreme decorated as well in a chest carved from granite and Kashmir gold along with a lining made from top Nubuck grain leather. Goldvish LeMillion is designed by Emmanuel Gueit. The uniquness of this cell phone is certified by Guinness World Records in 2008. 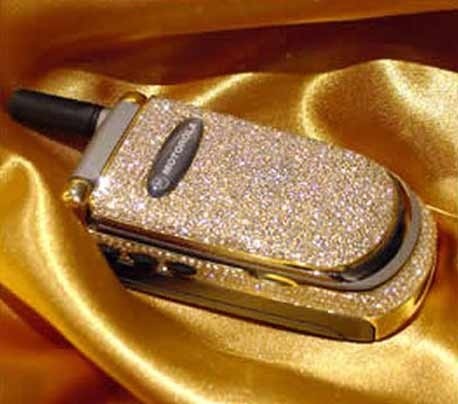 The cell phones use a VVS1 (only microscopically flawed) diamonds with 18 Carat of white gold. The features of the cell phone is pretty standard with 2 GB storage, FM radio, digital camera, MP3 playback and bluetooth are the internal features of the cell phone. This cell phone just available by individual order. 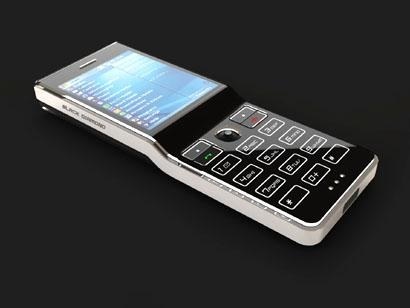 This cell phone is produced by JSC Ancort that originally designed by luxury accecories designer Peter Aloisson. 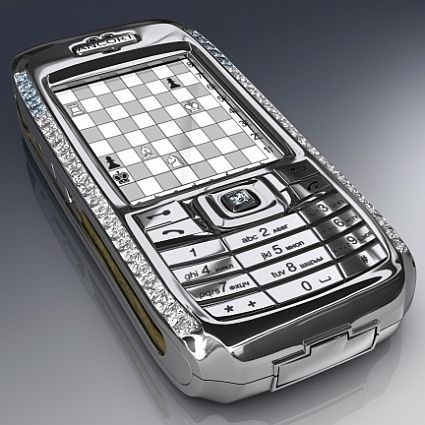 This expensive smart phone is encased with a platinum base and has 50 diamonds and 8 of them is a rare blue diamonds. The navigation key and the Ancort logo are of 18 Carat of rose gold. This cell phone was built on Windows CE. 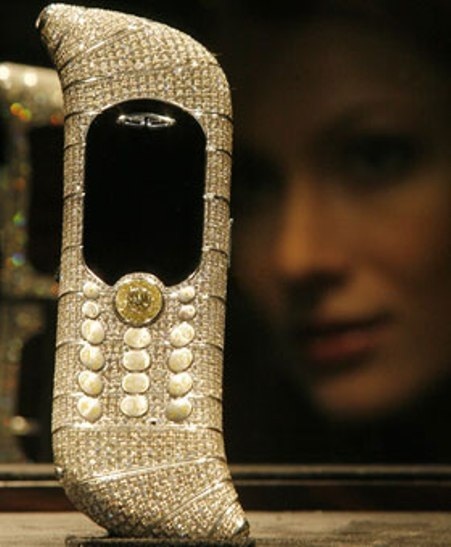 This cell phone is produced by Boucheron, a French jeweler. 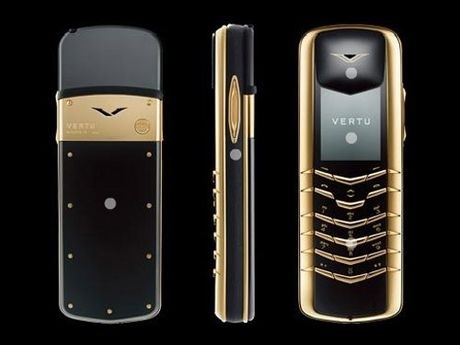 Vertu Cobra phone is a limited edition cell phone that so far only 8 ever made. this cell phone is featuring ne carat round diamond, two carat pear cut diamond, two emerald eyes and 439 rubies that used to give a cobra look of the phone. 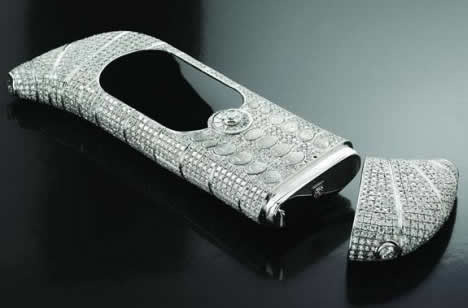 Totally this cell phone is using 21 carats of diamond and rubies. 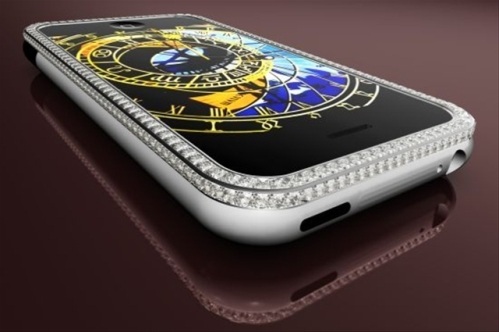 The body of this cell phone is made from titan and polycarbonate and spots a cutting edge mirror that finish cladding, adorned with diamonds. It’s designed by Jaren Goh. The cell phone itself is using an intel 400 Mhz processor, 4 mega pixel with 256 TFT screen. This cell phone was designed by Jaren Goh. Vertu diamond cell phone is featuring tiny diamond dotted all over the body and the keypad that carries eight carat of diamond. The body is created from finest platinum and underpinned with ruby bearings. It’s also equipped with similar ceramic originally intended for space shuttle. You have to provide to own this cell phone. 200 cell phones of this model have sold worldwide. This luxury cell phone is coming from Motorola cell phone producer. THe Motorolla Special v220 edition. It’s tagged for and was designed by Peter Aloisson, Austrian designer. It’s pretty much feminine in looks. 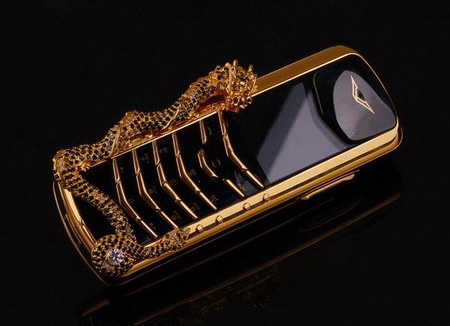 All features are standard except that this cell phone is studded with 1200 diamonds on the front panel as well as 18 carat gold is laid in the keyboard. This cell phone is just like standard of Nokia 8800. Just the outlook casing of the cell phone is encased with gold. This casing will capture attention from the people around of course. It’s has a standard of a smart phone. Such as 62,000 color TFT (208 x 208) display screen along with a SVGA .5 MP camera. MMS, SMS, USB, Java, WAP, Infrared, Bluetooth and Edge connectivity are present. Other standard features like FM Radio, Mp3 Player, 64 polyphonic and Video Recording are also present. A PR stunt it may be, and they surely can’t be expecting to sell any, but the Goldvish “Le million” is officially the most expensive mobile phone in the world, according the Guiness Books of Records. There’s even been talk of a $1.3million phone, but this has fewer diamonds than the Goldvish so I can’t see where the extra expense comes from! The “Le million” is a one off, featuring a blinding 120 carats worth of VVS-1 grade diamonds, according to designer Emmanuel Gueit. If $1 million is out of your price range. the Geneva-based Goldvish also offer several other diamond-encrusted 18k gold models in your choice of rose, yellow, or white, starting at a much more reasonable.